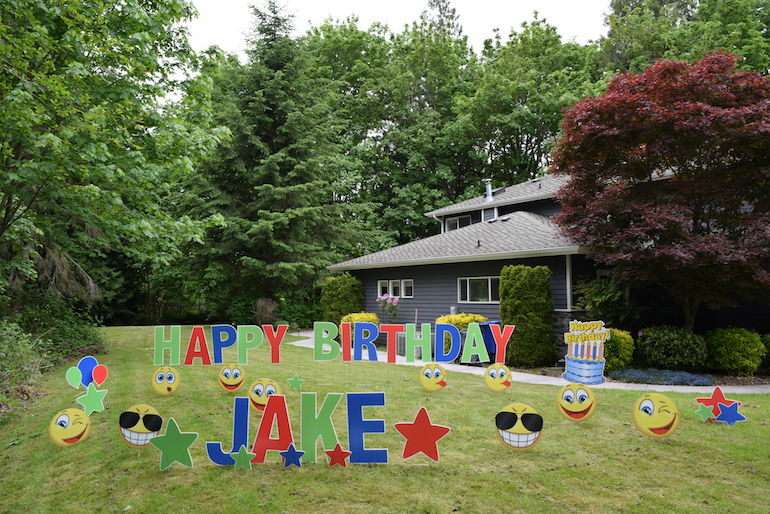 Let your grad know how proud you are with a fun graduation yard sign display. 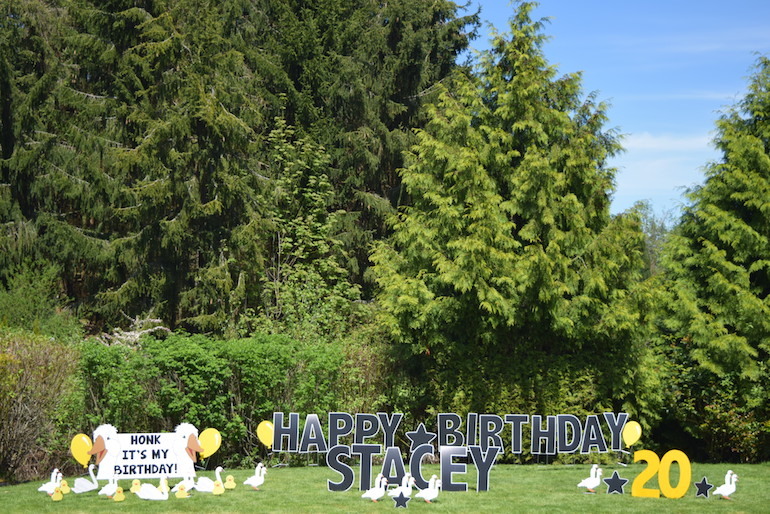 Our yard signs also make the perfect graduation party decorations to greet your guests! 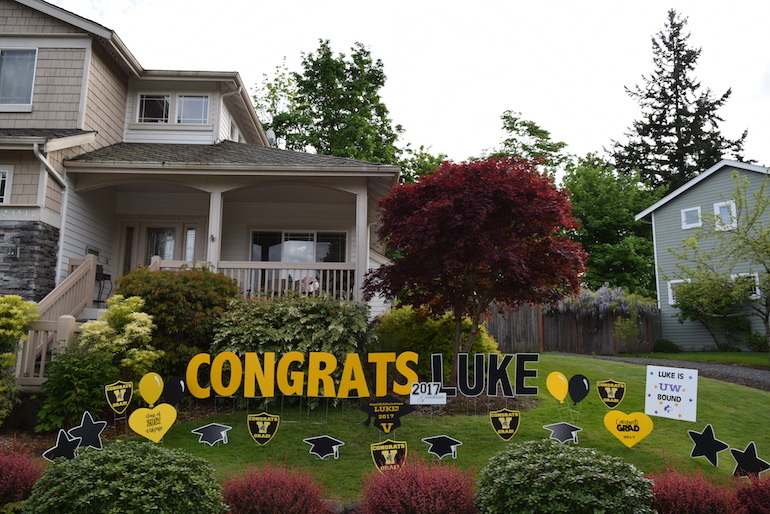 Our graduation yard greetings include a short graduation message using our over sized letter yard signs (example: CONGRATS TYLER!, YOU DID IT!, OR CLASS OF 2018),balloons, grad caps and your choice of 2 graphic signs to match his/her personality. 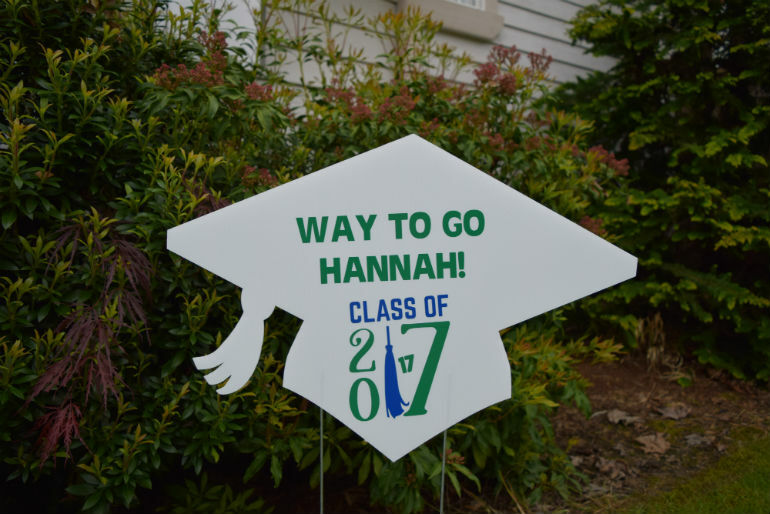 “Congrats Grad” signs printed in school colors are currently available for the following high schools: Bothell, Woodinville & Inglemoor. 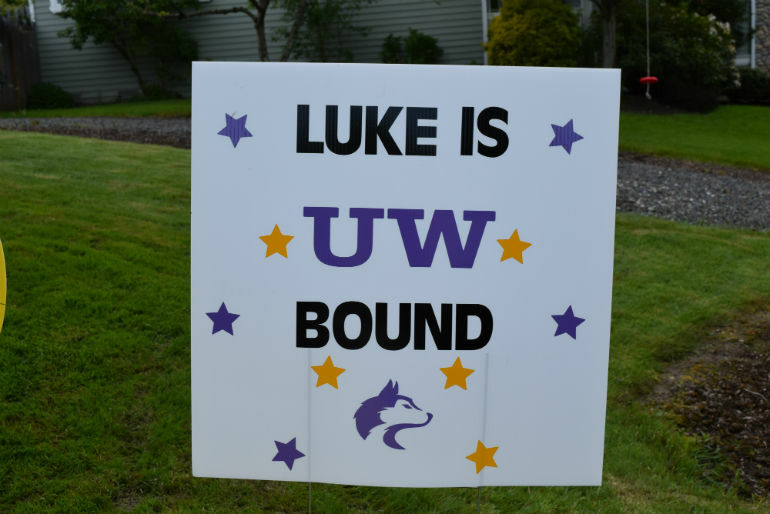 School logo signs are available for the following schools: WSU, UW, Bothell, Woodinville, North Creek, Skyline, Mountlake Terrace, Inglemoor, Redmond, Kamiak, Lake Washington, Mercer Island, Snohomish, Glacier Peak, Jackson, Juanita, CPC, and Issaquah. 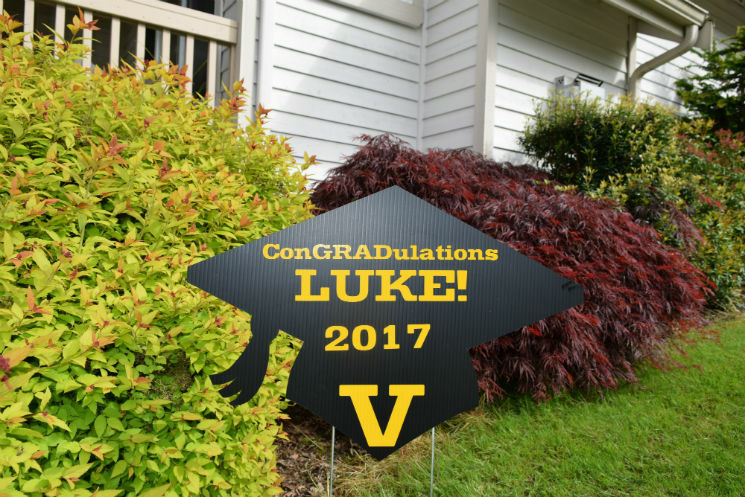 Customized Grad Cap keepsake signs are an additional $25 and include the grads name, year of graduation and a short message of your choice. 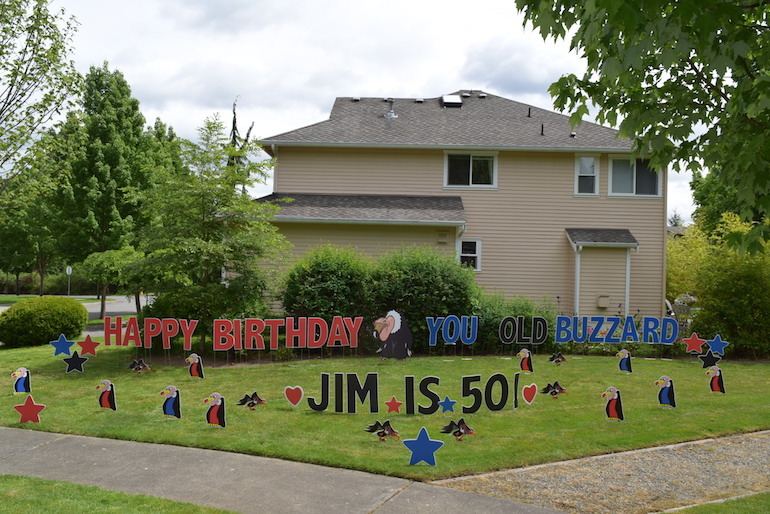 Large customized college bound signs are an additional $30. Please email us if you would like to add one to your order. Graduation season is busy so please email or call to confirm availability. Name of the Grad’s school and school colors. Please choose 2 graphic signs from the graphics gallery (link above).